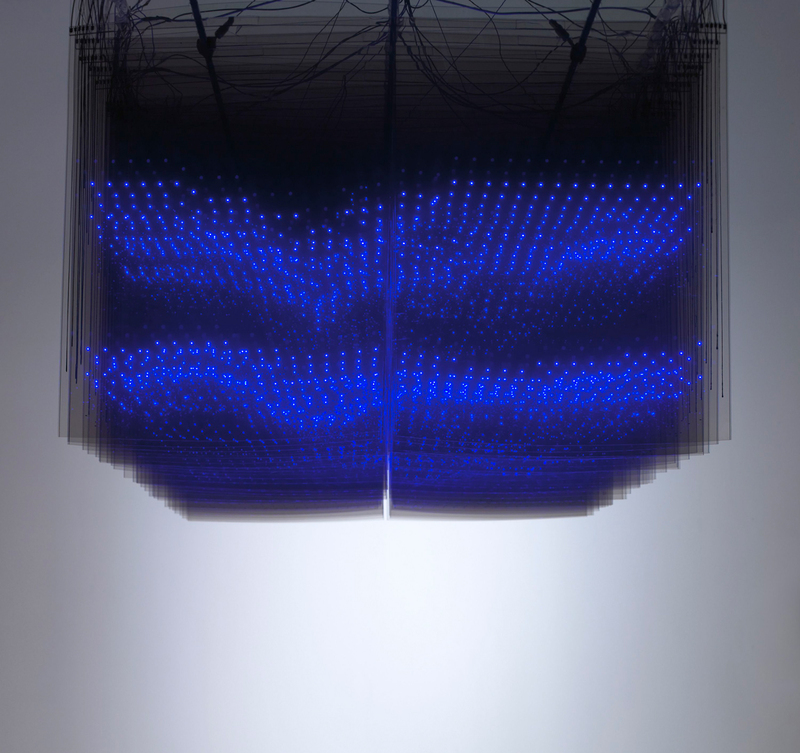 This inspirational installation reveals a stereoscopic representation of temporal and spatial telecommunication data, an urban communication indicator of everyday life, for 24 hours in a central area of Seoul, created by “transparent LED display sheets” of conductive carbon nanotubes. We live in electronic surroundings that are invisible and intangible, though they are very powerfully influential in our lives. Communicative devices such as mobile phones are becoming more and more dependent on digital technology. This urban telecom data visualization in stereoscopic displays on layered, transparent LED sheets reflects data changes hour after hour, so we can recognize telecommunication transitions in urban space over time, which makes it possible to deduce the rhythm in everyday life. In addition, this urban telecom datascape conveys an inspirational insight on a new cognitive communication domain in urban space.